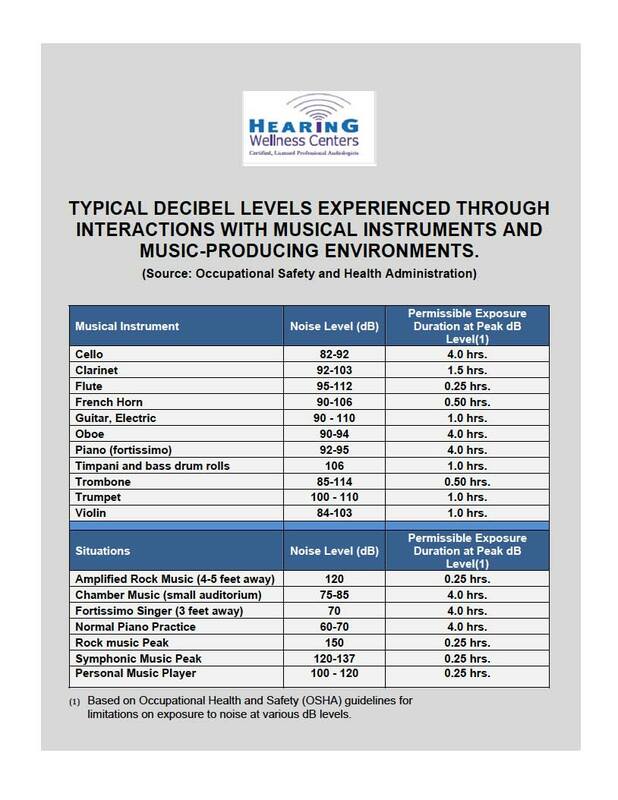 A decibel is a unit used to measure the intensity of a sound relative to a reference level. An increase of ten decibels in the power of a sound is equivalent to increasing its power by a factor of ten. As a measure of sound intensity, a zero-decibel reference is stipulated to be the lowest level audible to the human ear. The speaking voice of most people ranges from 45 to 75 decibels. A passing truck or lawn mower at 15 feet is about 100 decibels. If you were standing 100 feet from a commercial airliner taking off, you’d be exposed to 140 to 180 decibels of sound. A musician sitting in a symphony orchestra is exposed to decibel levels above 120.